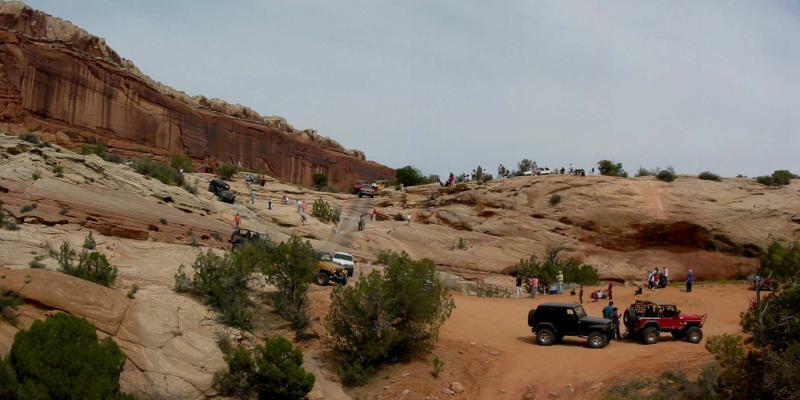 This trail tours a region south of Canyonlands Airport and west of Highway 191. 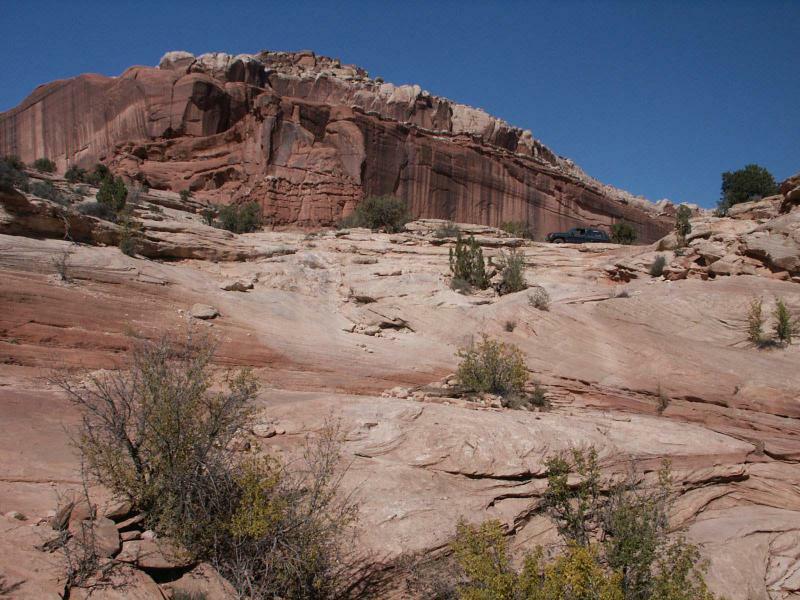 It uses portions of Bartlett Wash, Tusher Canyon, Courthouse Pasture, the south cliff base of Big Mesa. 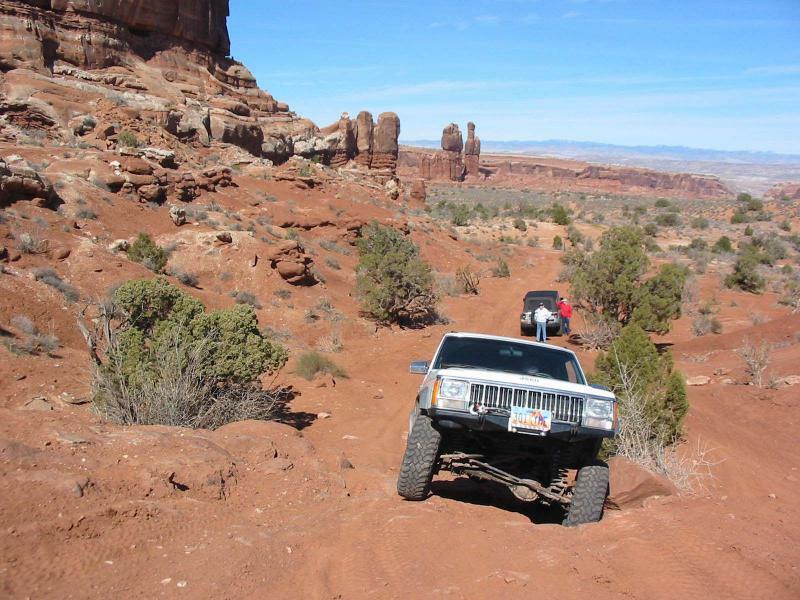 Variety is its strong point, with a wide range of scenery and trail surface and a couple of challenging hills. 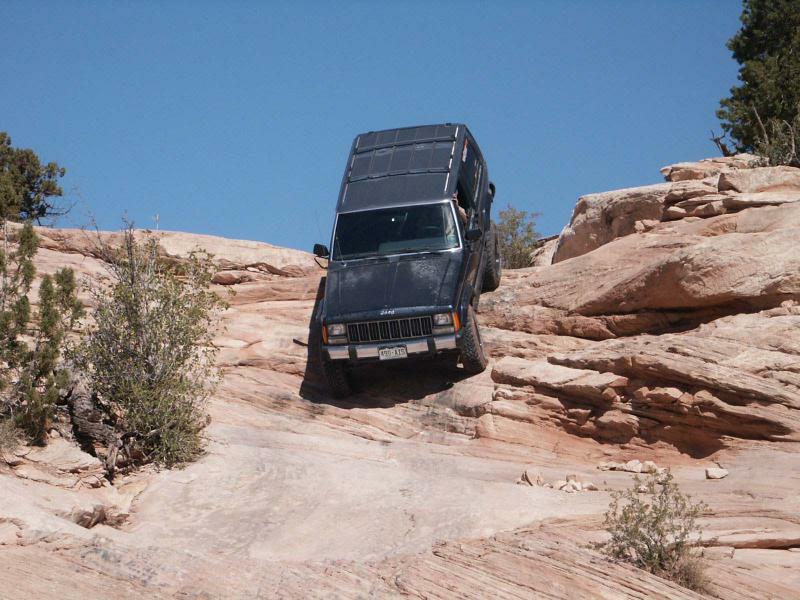 Approximate mileages: 43 overall, 19 off highway. 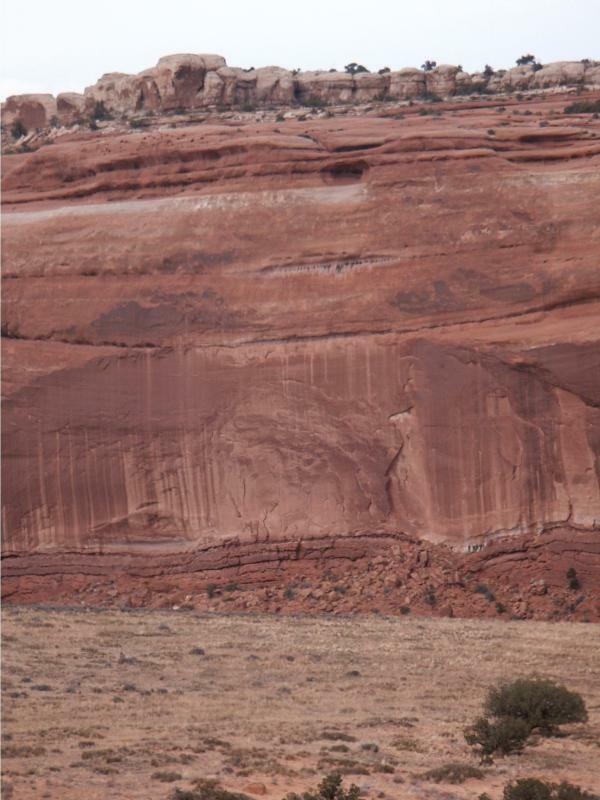 The landscape varies from the drab hills near the airport to the tall cliffs seen from Moab. 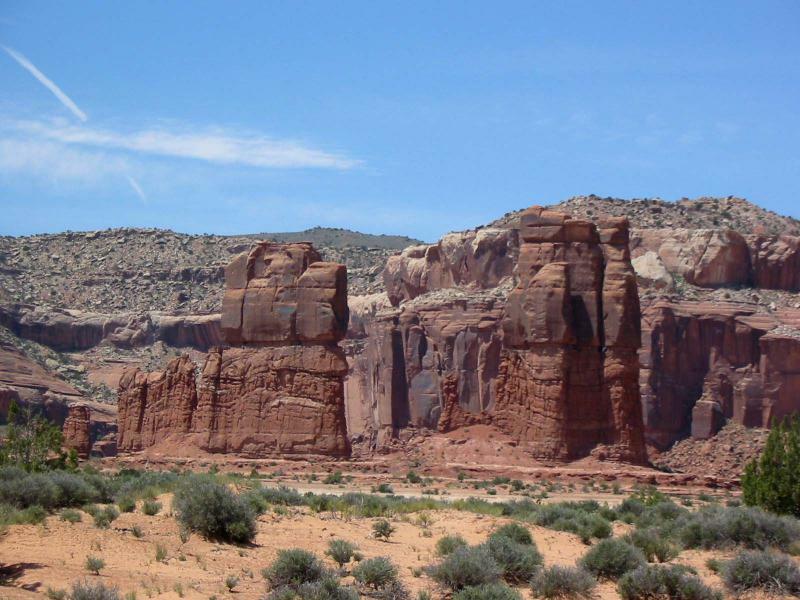 In between are beautiful canyons having colorfully banded Entrada Sandstone walls, Determination Towers, Monitor and Merrimac Buttes, and Big Mesa are some of the large rock features visited. 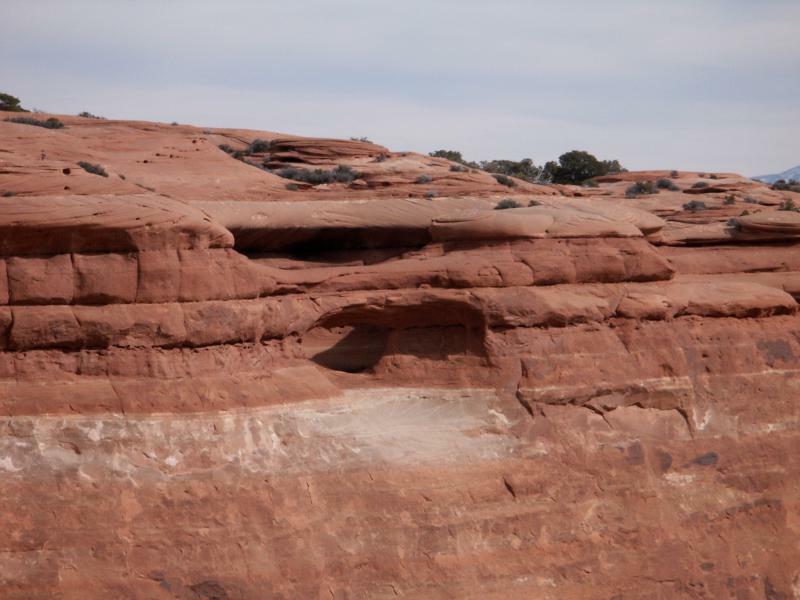 For those who enjoy geology, the trail traverses at least seven major rock formations that were deposited over a period of 100 million years (beginning about 200 million years ago) are traversed. 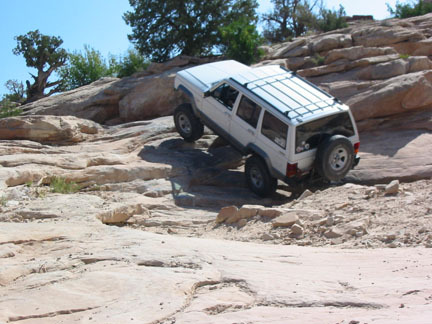 Early in the trip a sandy hill is encountered that sometimes is a challenge. 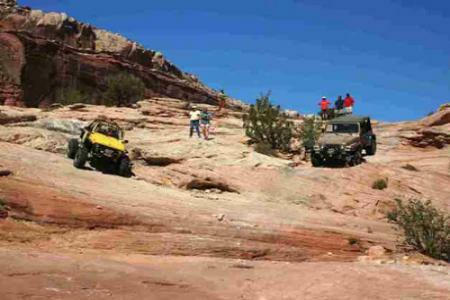 A little later Tusher Wash is usually wet, and features a narrow, rock filled obstacle course that will have the wider, longer vehicles struggling to avoid sheet metal damage. 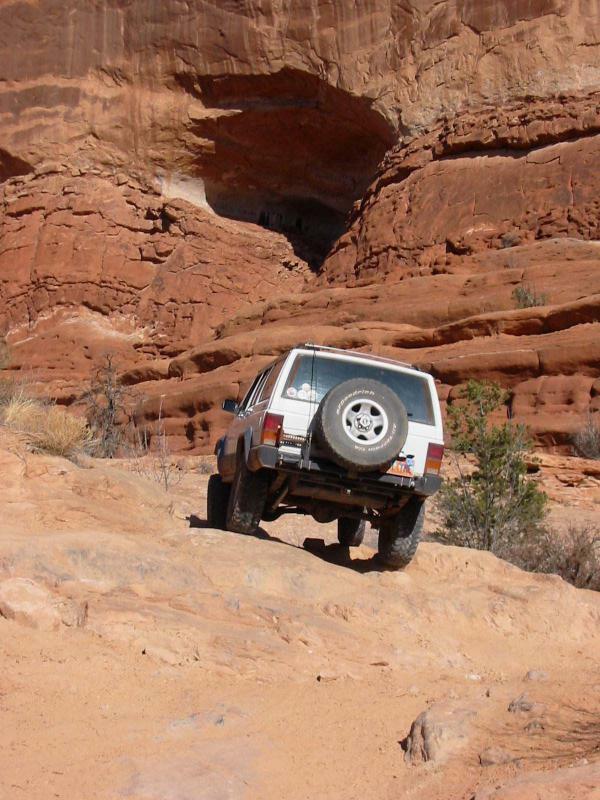 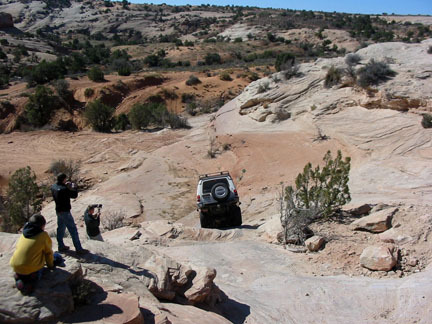 There are a couple of areas of slickrock, some rock ledges, and a few miles of two track. 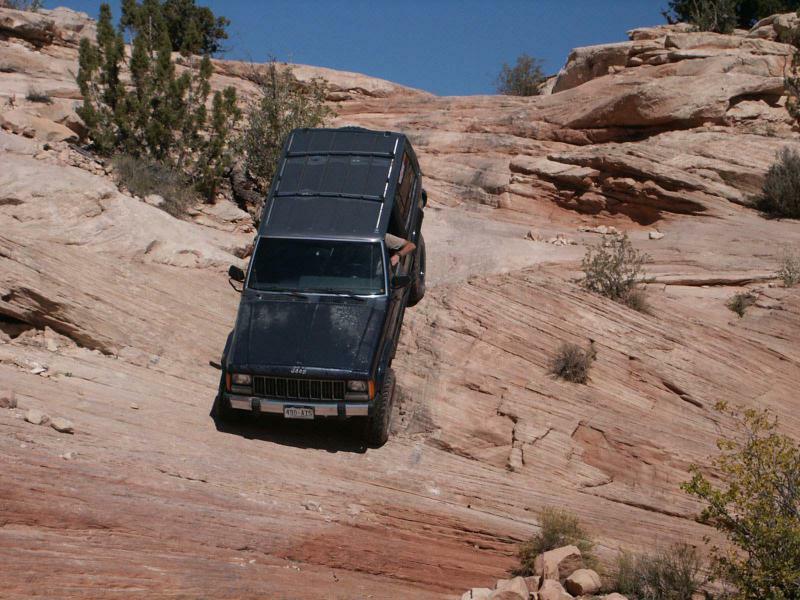 There is a short hill before Wipe Out Hill that is begging for a name these days. 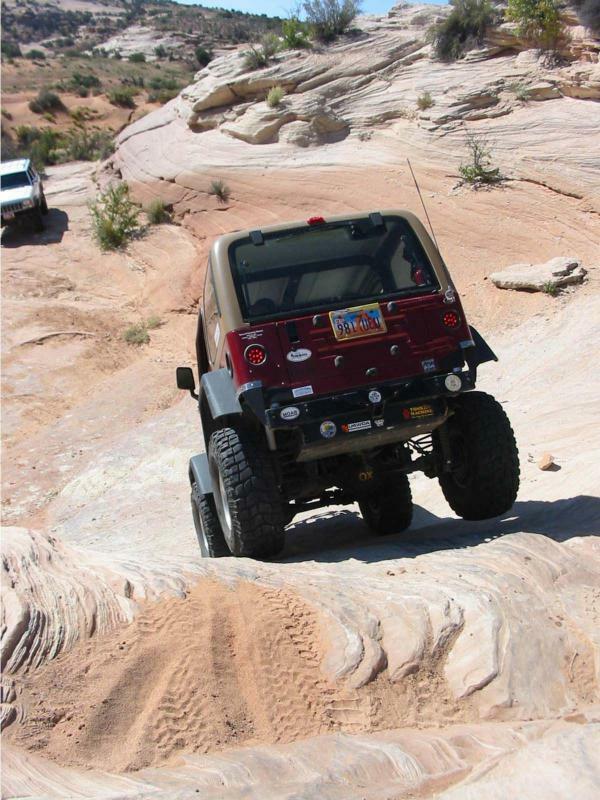 Wipe Out Hill is short but steep. 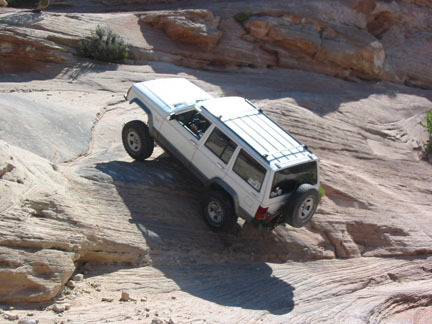 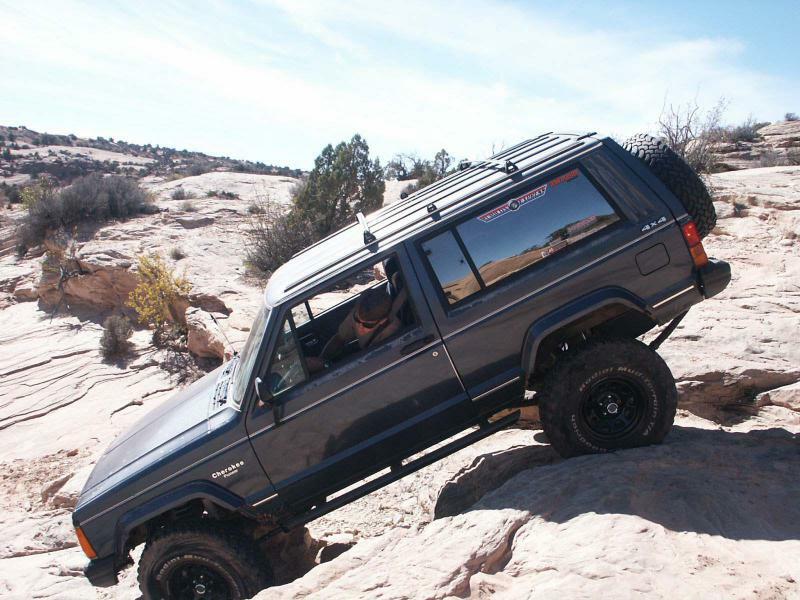 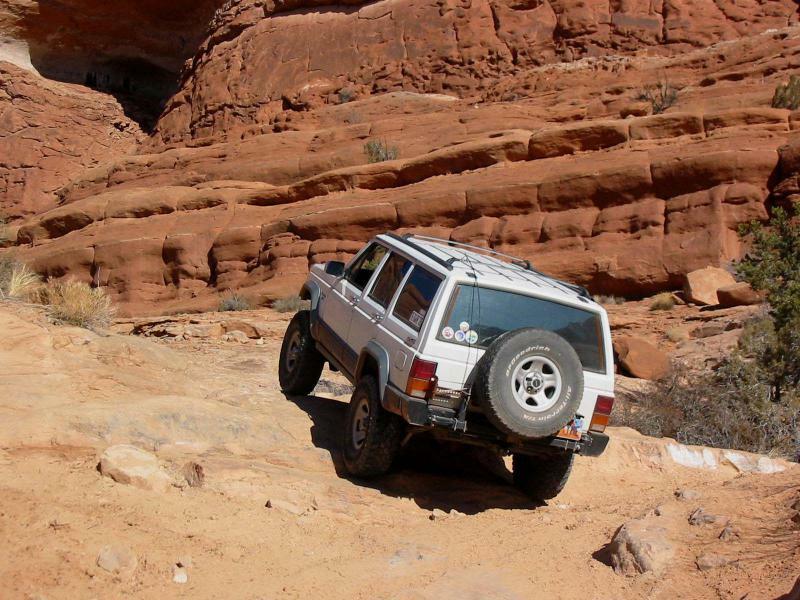 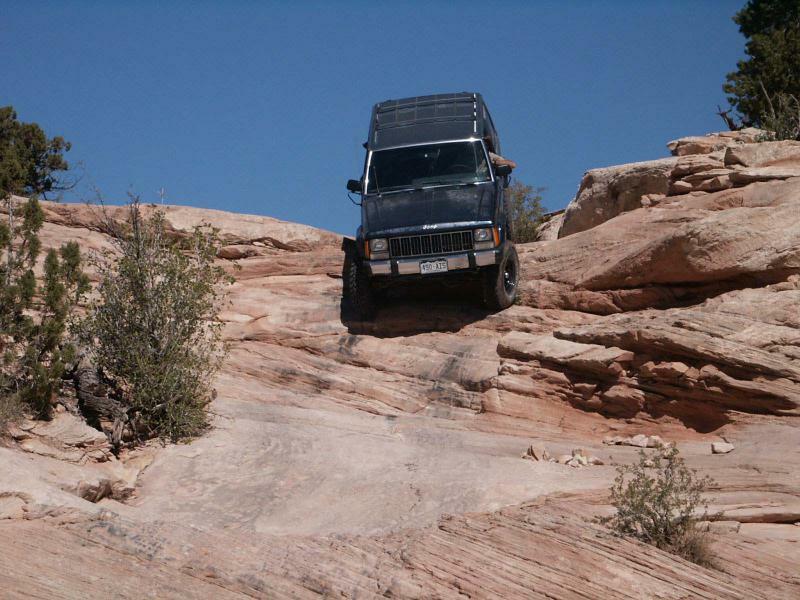 Rattlesnake Hill has its bumps spaced right to give most vehicles a challenge in ascending it. 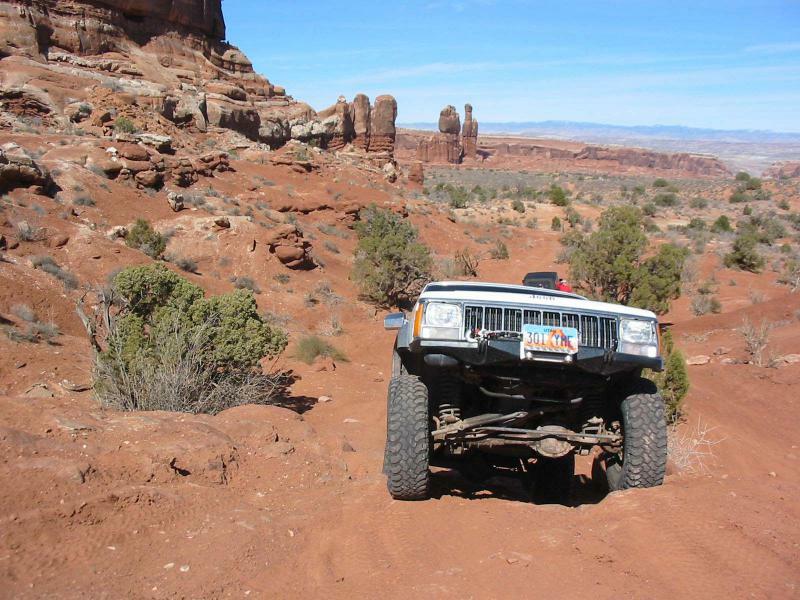 The scenery from most locations along this trail is a highlight as well.